In terms of story, the four Spectre Sisters are an amazing and well rounded bunch of characters. 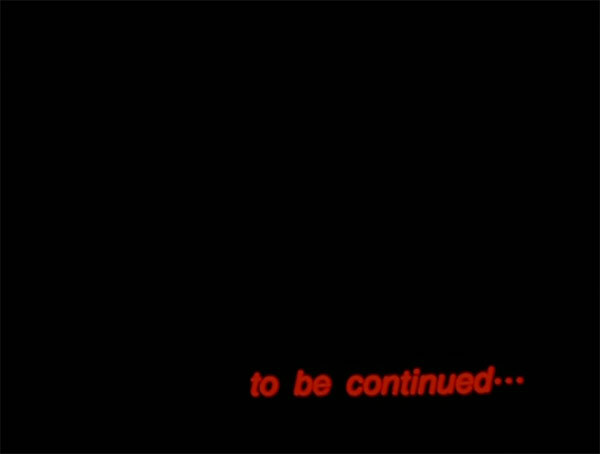 They start off being quite comical during the filler episodes in part 1, but that all starts to change. The Black Moon Clan are arguably the most interesting group of villains from the entire series, and it’s easy to see why. 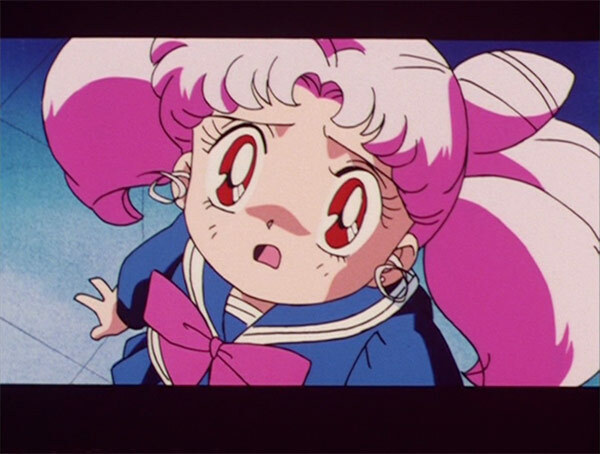 Then we have Chibiusa, the pink-haired brat from the future who you’ll either love or hate. 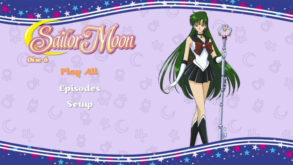 I initially found her annoying, always trying to steal Mamoru from Usagi, but she later grows on you as her hidden motives become clear. 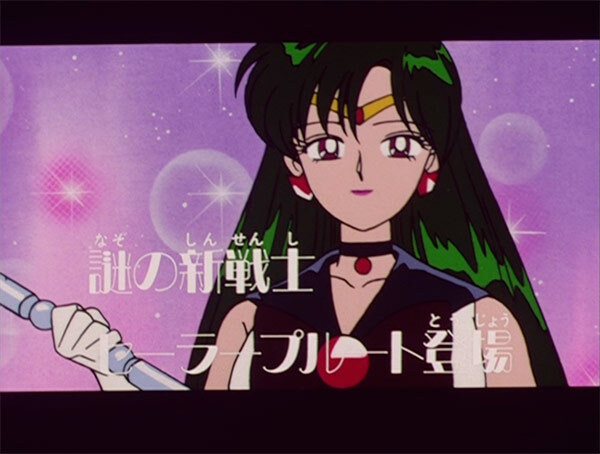 Finally, we get introduced to Sailor Pluto, the mysterious lone soldier who guards the Gates of Time. 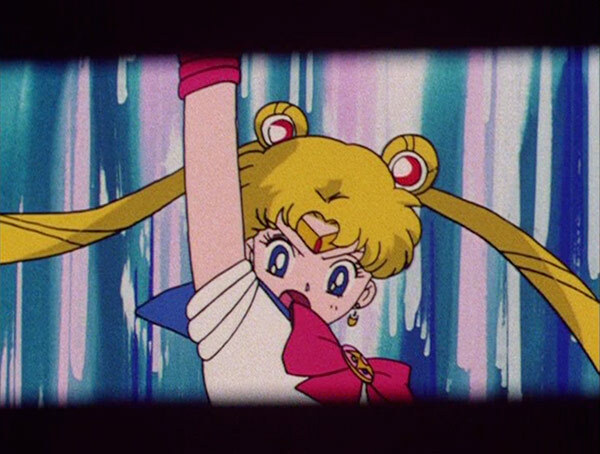 It’s unfortunate she has very minimal screen time, so don’t expect a full transformation or an attack ;D (Otherwise check out Sailor Moon Crystal, where she’s 10 times more important). 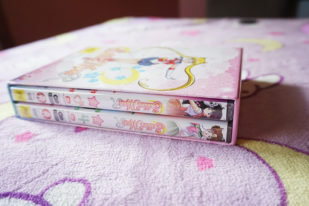 The DVDs come with two audio options: original Japanese or Viz Media’s new English Dub. 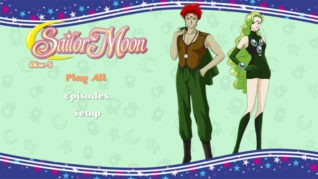 Sadly I don’t think the English voices suited the characters very well, especially the Spectre Sisters. 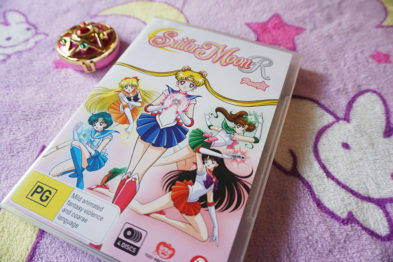 It kind of threw me off and I never got used to it (I’m still not used to Luna or Artemis XD). 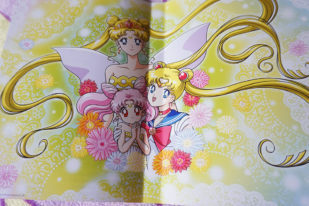 I did enjoy Sandy Fox’s take on Chibiusa and several other characters (Cristina Vee as Sailor Mars, Stephanie Sheh as Sailor Moon and Amanda C. Miller as Sailor Jupiter). 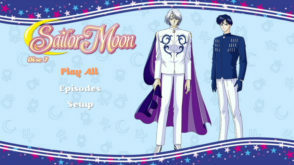 For maximum enjoyment of this series, I have to recommend the original Japanese version with English subtitles. It’s simply superior. 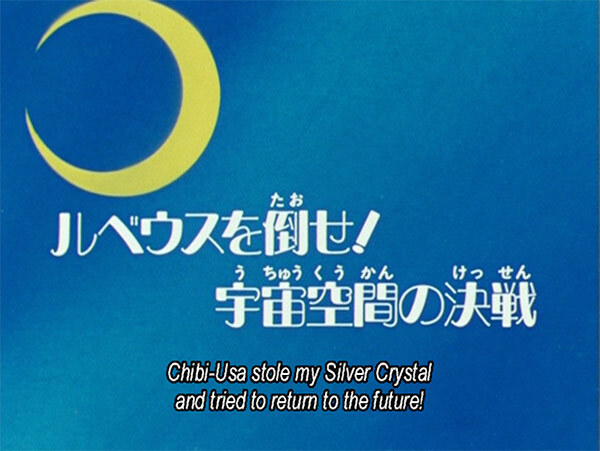 But of course, if reading subtitles is not your thing, the English version still does an okay job. The dialogue is pretty faithful to the original and can be funny at times. The bonus material is again a textless opening and closing clip along with some Madman trailers. 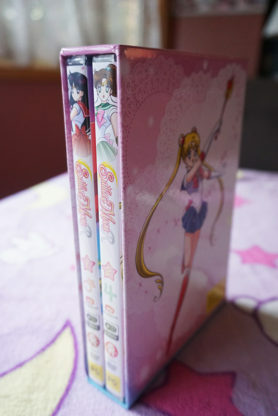 If you purchased Sailor Moon R Part 1, you would already have this extra. This should be episode 74 “Defeat Rubeus: The Battle in Space”. 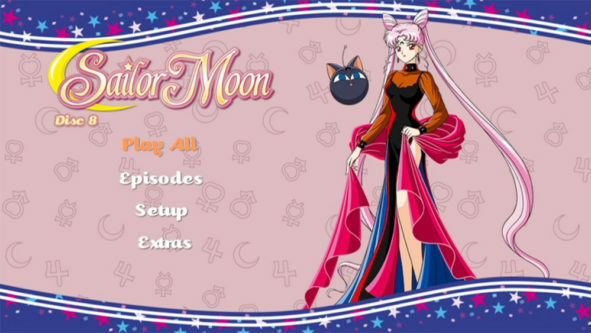 I also noticed at the end of the first disc, the next episode preview for episode 75 was very low quality and different from the rest. 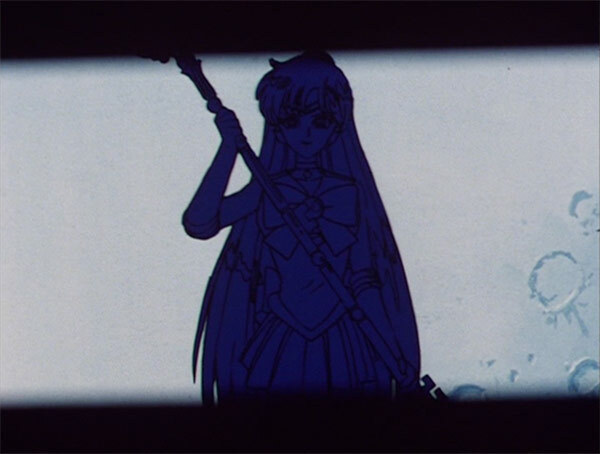 What is this from? 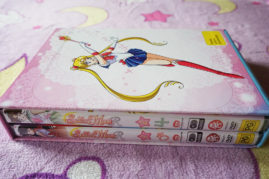 Apart from some minor issues, I’m pretty happy with this release :D Again, very nice packaging. This is a solid release with a faithful adaption. There’s currently no release date for ‘Sailor Moon S’ but seeing as Viz Media has announced their US version, I’m hoping Madman will follow suit soon :D Check out my review for Sailor Moon S here. If you’re interested in owning a copy, visit Madman’s website here. Note: These are region 4 only.